alaTest a collecté et analysé 13 avis de consommateurs et d'experts pour le produit Black & Decker VersaBrew DCM1250 12-Cup Coffee Maker. La note moyenne du produit est 3.1 sur 5, tandis que les autres produits de même catégorie ont une note moyenne de 4.2 sur 5. Les testeurs apprécient la qualité de construction. Après analyse des notes de consommateurs et d'experts, de l'âge du produit ainsi que d'autres facteurs, et comparé aux autres produits de même catégorie, le Black & Decker VersaBrew DCM1250 12-Cup Coffee Maker obtient un alaScore™ de 74/100 = Bien. Easy to spill, hard to refill. Auto shut-off, automatic timer, sneak-a-cup, reasonably priced. Carafe can't pour without spilling. Basket removal is difficult. Coffee not hot enough for me. Poorest design I have ever seen. Whoever designed this coffee maker has never made a pot of coffee. All the good options are there but so poorly executed that this coffee maker is a daily annoyance. Carafe does spill some, but nothing major. Not a bad machine at all. Cheap, works well, lasts a long time. For the 30 bucks I paid...none. Good, fast coffee even after 5 years of use. Carafe is a little small if you have coffee loving friends over. Do yourself a favor and skip this maker! Please bear with me, this is my first review. I HAD to sign myself up just so I can vent about my unhappiness with this product. Gotta have a cup o' joe? 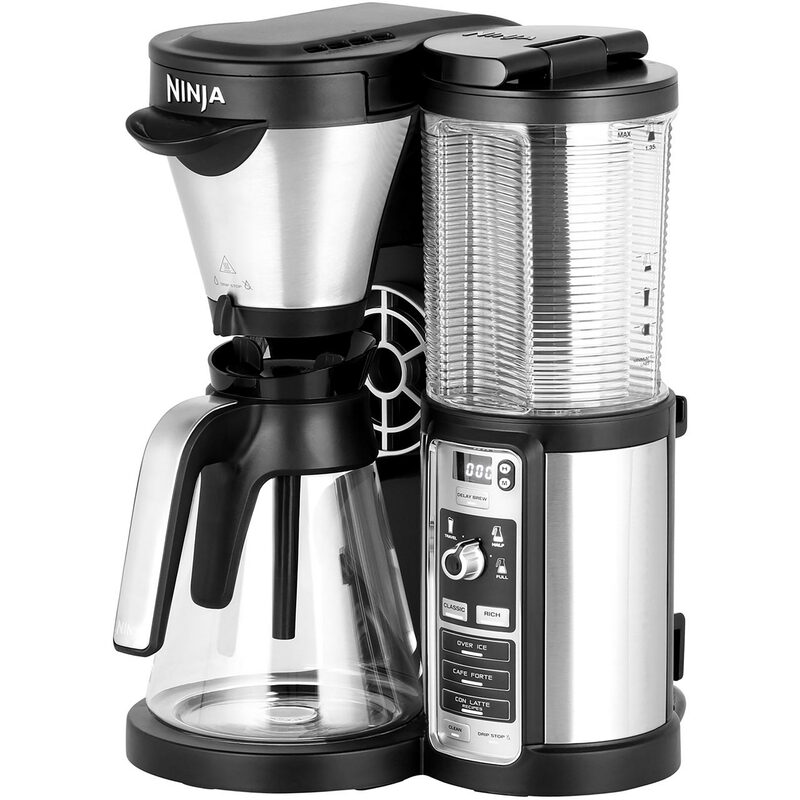 Looks great, sturdy carafe, and super easy programming. Basket hard to remove/replace, spills easy, and takes too long to brew.